One of our very first eneloop pro reviews was written by Justin Thomas on his blog called MetaEfficient. He’s tested out the battery’s 2500 mAh energy supply. Overall, the eneloop pros are the real pros when you’re in need of some serious power. Biggest advantage? The new technology inside the eneloop ensures a consistent power flow, meaning they don’t rapidly lose their voltage while you’re using them. And with that, the eneloop pro batteries greatly outperform their good old alkaline counterparts. Also, you can reuse the battery plenty of times. Thomas puts it clearly: if you were to use them twice a week, the 500 recharges would allow you to use your eneloop pro batteries for no less than five years. A big plus: they retain much of their capacity throughout their lifetime. Amateur photographer Callum McInerney-Riley has tested out several types of batteries, of which the eneloop pro came out as his favourite, giving the eneloop pro battery a clear 5 out of 5 score. Why? Because they retain a constant flow of power throughout the charge, making them perfect when you’re using devices that require a high but steady power flow. “The eneloop pro batteries are fantastic for photographers looking to use them in a flashgun,” he states. On top of that, they’re excellent to use in more extreme conditions. Where other batteries fail, the eneloop pro remains strong in the -20°C (-4°F) range. He also charges them with the BQ-CC18 quick charger, which allows him to fill up four eneloop AA’s in about twelve hours. 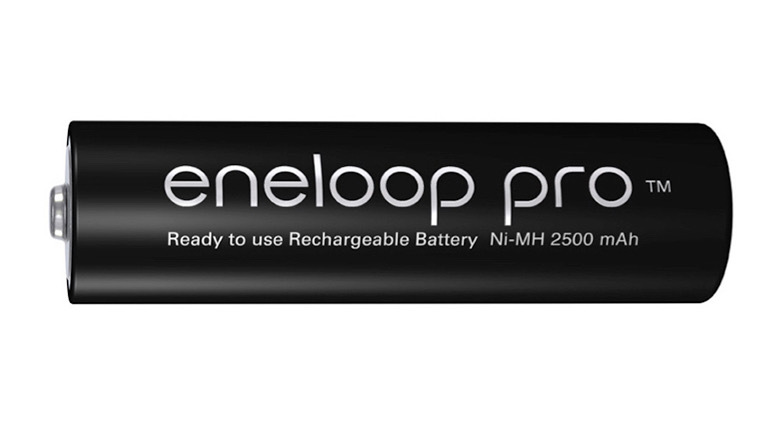 The third review comes from Japan’s YouTuber DJ Marc Antomattei who doesn’t mess around: “eneloop pro batteries are the best rechargeables on the market right now.” He’s tested out the eneloop AAA batteries. Despite their smaller size, they still boast a consistent 930 mAh power supply. Antomattei calls them an investment for the future. Though they may be slightly more expensive when first purchased, you’ll end up saving a considerable amount of money in the long run: their power and durability is simply unmatched by other batteries on the market. Have you already tried out the eneloop pro? Reviews are more than welcome as we are constantly improving our technology.